“Is nursing school to hard for me? Crystal thank you so much for your question. All I want to say is “girl I feel you!” LOL. Anatomy and Physiology is a very hard course …..period. I remember taking it as a freshmen in college and it was my first semester straight out of high school…..a very eye-opening experience lets just put it that way. I remember thinking “oh my gosh this crap is hard” and “how in the world will I make it through this class and then nursing school”. A & P is hard and when you add family issues into the mix it makes it even harder. When I took the class there were many people who failed it and had to repeat the course. I don’t necessarily think that because those people failed the class they weren’t cut out for the medical field. I think it just meant they needed to repeat it because it was a little harder for them to grasp at first. Plus you have to consider if you have a bad teacher (which can make or break a student’s grade). School is different from being out in the real world. The key to getting through school is learning what your teachers expect and what material to study. 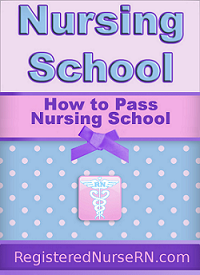 I see that you really want this which is the key ingredient to passing nursing school and attaining your Registered Nurse RN. The ones who never become nurses are the ones who gave up when they first failed. I say that when you re-take the course you should avoid your family issues and let them deal with their own problems because you have your future to worry about and you should just concentrate on you…..they should understand. Also, if you find it too hard and you fail your first test I would suggest getting tutor…..they are super great. Many colleges provide them for free! Overall, don’t give up on something that you want so bad because you feel that you are not “smart” enough or because you find the material to be hard for you. Good luck Crystal and I hope everything works out for you!